Newly developed design. 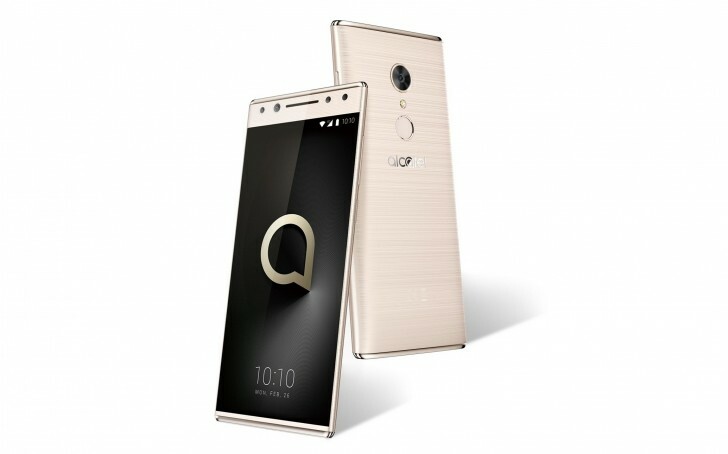 The Alcatel 5 is supposed to attract customers as the new design flagship of the Chinese company TCL. In order to do that, it throws out the established design arrangements and reorders them. The result is a smartphone that pursues other solutions but is weak in the detail. We clarify in our review what buyers of the Alcatel 5 can expect. En conclusión, consideramos que Alcatel ha realizado un gran trabajo en un móvil de gama de entrada que incluye detalles de última generación y que no dejará a nadie en evidencia en ningún entorno, porque no sólo es bonito, sino que facilita todo eso que un usuario requiere en primer término de un móvil. Considerando todo lo anterior, podemos decir que el Alcatel 5 es un móvil económico y perfecto para quien no haga un uso demasiado intensivo del móvil o para quien necesite solo algunas funciones como navegación por Internet, WhatsApp, llamadas y cámara. Lo cierto es que este modelo tiene grandes virtudes, como por ejemplo un diseño especialmente llamativo o la inclusión de una doble cámara frontal que funciona bastante bien. Otras buenas opciones son una conectividad bien resuelta -lástima de la ausencia de NFC- donde destaca el USB tipo C y la toma de auriculares. Aparte, la ergonomía, debido a su reducido peso nos ha gustado mucho. En el apartado de potencia bruta o pantalla flaquea, pero es que seguramente el perfil de usuario de este móvil, el comprador prototipo, no sea el que quiere jugar a Honkai Impact Third con la resolución al máximo. En conclusión: haciendo balance de características y precio, el Alcatel 5 2018 es una opción perfecta para conseguir buenas prestaciones de gama media-alta (aunque haya que hacer algunas renuncias) por un precio muy muy atractivo. Touted as their “flagship” device, the Alcatel 5 sells for Php 8,499. While we admittedly love its unconventional notch-free design, its outdated processor and Android OS make us think twice about this promising device. Other brands offer better specs at a similar price or lower, placing the Alcatel 5 at a really tough place. This is not a premium phone and so one cannot expect premium performance. However, having 32GB ROM and 3GB RAM and running Android 7 (but not the more recent Android 8) on an octa-core MTK6750 processor one can expect and does get reasonable performance all round even though booting up from cold took the long time of about 90 seconds. Available SIM-free on Amazon for £179.99 it should suit those who want the wide range of features but are not power users who make heavy use of a smartphone. It has an alluring price, but others have better performance, battery life and designs. The Alcatel 5 offers a dominating 18:9 display and reasonable camera performance for around £230. However, a slightly odd design, underwhelming performance and mediocre software make it hard to recommend in a strong field. The similarly priced Moto G5S Plus does the basics a lot better and with considerably more style. The Alcatel 5 is definitely an engaging smartphone. From our short experience with it, it appears that you get a lot - like real lot - for your money. We are not too fussed about the low storage space or average processor, or even top bezel as for the price you get a very good looking phone with some nice premium features. With an almost bezel-free display, this 18:9 ratio phone does similar tricks as a lot of the big flagship devices, but for less. If everything here works well, the Alcatel 5 could be a great handset. At €229 it's unlikely you'll spot a phone that's more eye-catching than the Alcatel 5 when it launches. Its unconventional approach to screen bezel will make it one of the few phones that's recognisable in the sea of same-y looking devices. 80% Обзор Alcatel 5: красивейший восьмиядерный безрамочник дешевле, чем Samsung и Xiaomi. В чём подвох? 67.49%: Esta evaluación es mala. La mayoría de las portátiles son mejor evaluadas. Esta no es una recomendación para compra.